Eat where the locals eat on the west end of the island with this chefs' guide to the Culinary Capital of the Caribbean. Pristine waters, coral reef diving, tax benefits, and a lot of great food to be found. To help guide you to the best places, Cayman chefs and bartenders pass along some of their favorite spots to eat and drink on the west side of the island, stretching from Morgan’s Harbor to George Town. If you have time, check out the other side of the island with our Cayman East and North Side Guide. To get the entire Grand Cayman Guide with many more places, download the Find. Eat. Drink. iPhone app. Dolphin Cove, Grand Cayman | Photo Credit: Marc Dorian for Find. Eat. Drink. Coffee made from their own roast along with fresh baked muffins, wraps and pastries. Modern restaurant and cafe with artisan breads, salads, sandwiches, fresh baked pastries and cakes. It's also a contemporary housewares shop with brand names like Alessi. Sit outside overlooking a swimming pool with views of Seven Mile Beach. They have won the hearts of locals for having one of the best brunches on the island. A small outpost of the larger Foster's Market where you can pick up local Cayman Sea Salt and pepper jelly. Part wine store and part wine bar with tasting stations situated around the store. Camana Bay Farmers Market | Photo Credit: Find. Eat. Drink. A great place to buy local fruits, vegetables, fish, prepared foods, jams and jellies. Heritage Kitchen | Photo Credit: Find. Eat. Drink. This charming seafood shack overlooking the sea is the kind of place you dream about finding on a Caribbean island. Be careful where you sit since the iguanas in the trees occasionally make a few droppings on top of the tourists. Sunday is barbecue day. Enjoy a conch platter overlooking the sea at Macabuca Bar | Photo Credit: Find. Eat. Drink. This is a casual beach bar overlooking the water with an all day menu of conch fritters, chowder, burgers, fish sandwiches, pastas, and fish & chips. On Mondays, they have an all you can eat BBQ. Morgan's Harbour | Photo Credit: Find. Eat. Drink. Seven Fathoms Rum | Photo Credit: Find. Eat. Drink. This is a golden rum made in the Cayman Islands. Andre's Smokehouse aka Red Bay Jerk Stand | Photo Credit: Find. Eat. Drink. Also known as Andre's Smokehouse, you can just follow the smoke to this parking lot jerk chicken centre. They fire up a line of oil drum BBQs and grill both chicken and pork. The take-away sauces range from sweet to hot to super spicy. Most days they serve festival (fried Jamaican bread) as a side. Seven Mile Beach | Photo Credit: Find. Eat. Drink. Casual beach bar with tables and lounges right on the beach. By day, you may see your share of tourists, but at night it's local chefs and the restaurant industry crowd hanging out. Great sunset views. My Bar at Sunset House | Photo Credit: Find. Eat. Drink. Thatched roof wooden bar overlooking the sea filled with scuba divers. Make sure to try the food on the Indian menu. Prickly Pear Margarita and Crispy Pork Belly Tacos | Photo Credit: Find. Eat. Drink. Popcorn Lamb (Lamb Sweetbreads) at Craft | Photo Credit: Find. Eat. Drink. Pub grub and rustic, home-style cooking with craft beer and cocktails. The menu ranges from their signature Craft burger to pork poutine to sandwiches and fish dishes. On Saturdays, all bars and restaurants are required to stop serving alcohol at midnight. So Friday is the late night out. Singh's Roti | Photo Credit: Find. Eat. Drink. Trinidadian roti sandwiches which are flatbread wraps filled with oxtail, curried goat, chicken, fish, or local vegetables. Try a Caribbean soda from the cooler. Al La Kabab | Photo Credit: Find. Eat. Drink. Restaurant with a large bar area for grabbing late night cocktails. This is where you’ll see the industry coming late night to smoke Cuban cigars and drink Cuban rum. There is a good chance you’ll be dry cleaning your clothes the day after since smoking is permitted. 6 pool tables, darts, beer pong and 13 flat screens. 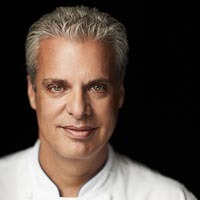 Chef Eric Ripert uses this sea salt at his restaurant Blue at Cayman's Ritz-Carlton. Made locally, they let nature do all the work and are using recycled glass from sliding doors discarded after Hurricane Ivan for their bottles. Sold at the Camana Bay farmers market on Wednesdays. You can get a variety of citrus marmalades made from fruits sourced from trees in the maker’s backyard (hence the name) and her neighbors’ trees. She also sells banana bread. Carol Hay started making the pepper jelly as a hobby, using scotch bonnet peppers and seasoning peppers from her own back yard. She adds locally grown species of West Indian peppers and sweet peppers to round out the flavors. 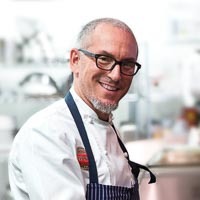 Executive Chef and head of the Genuine Hospitality Group in Miami. Formerly Chef de Cuisine with The Brasserie and Genuine Hospitality Group in Grand Cayman and Miami. Executive Chef at Blue at The Ritz-Carton in Grand Cayman and Le Bernardin in New York. 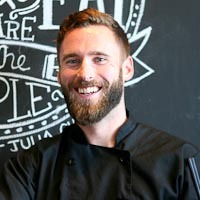 Executive Chef and head of ThinkFoodGroup. 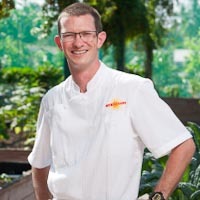 Executive Chef and head of DJM Restaurants, including The Brasserie in Grand Cayman. Formerly Chef de Cuisine forThe Brasserie in Grand Cayman. Executive Chef and owner of Calypso Grill in Grand Cayman. Executive Chef for Yara Global Steakhouse in Grand Cayman. 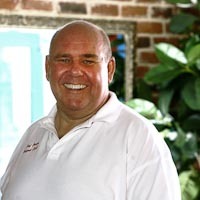 Executive Chef and owner of Ortanique in Grand Cayman and Miami. Executive Chef and owner of Agave Grill in Grand Cayman. Bartender and Diageo brand ambassador for Jacques Scott Group in Grand Cayman. Owner of Agua Restaurant and Catch in Grand Cayman. Explore more 24-hour FED Guides in the Caribbean. Local chefs give the basics in part one of our Grand Cayman video series. Meet the Grand Cayman chefs who give their insider recommendations and tips for visiting the island. Here they talk about their own restaurants. Where to eat in Grand Cayman? Let these local chefs be your guide. Follow the smoke to the best jerk chicken stand in Grand Cayman. Chef Dylan Benoit recommends this tiny Trinidadian Roti Shop in Grand Cayman. Luxury accommodations in the heart of Seven Mile Beach.